Some gardeners or owners of country houses often try to plant in the garden a pine tree or spruce, but either do not know how to do it, or doing it wrong. Therefore, they need detailed guidance on transplanting of these trees and the features of this process. Transplant all conifers, including spruce and pine, preferably in the spring season from mid April to early may. This is because their survival rate is lower than in flowering plants (Linden, oak, ash), and the roots grow much slower and require the development of the warm period. 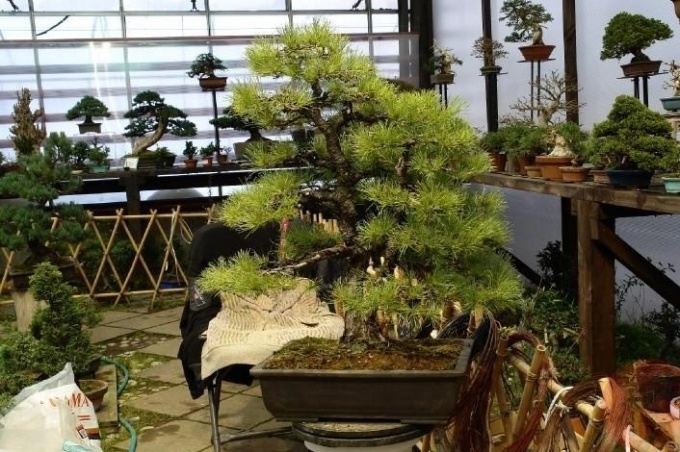 Pine and spruce can be transplanted into end-of-summer time, however you need to be sure that the seedlings from the container, the roots of which do not have severe damage. End-of-summer period, in which you can transplant conifers, is the time from 20 August to 20 September. In the hole intended for transplantation pine or fir, you need to sprinkle a little soil from the woods where they grow trees. It contains a fungus that forms a vital symbiosis with the roots of conifers and help them develop, grow and strengthen. In normal soil, the seedlings will sprout, but will quickly die without this fungus. In addition to forest soils, also in a hole, you can add a small amount of fertilizer for coniferous plants. Soil much soil is undesirable. If seedlings of pine or spruce are transferred to the light phase of the dark forest, they must temporarily obscure that they are not burned in the spring sunshine. This is perfect hat which can be made from large bags which keep the flour or sugar. Also for replanting of pine seedlings in the fall to select a specimen height of 30 to 40 centimeters, although larger seedlings (about a meter) will also hold. The seedlings of pine and spruce should Saatli in a clod the size of a bucket and watered in a drought until, until they get stronger. To keep the main tap root of pine tree, not by cutting it by digging, it is best to transplant the little seedlings. To slow the growth of pine and the regulation of its height this root before planting to tie a weak knot and the crown of the trees to form a round ball. This is done each spring green growth at the ends of branches to break down below the branches fluffed out to the sides. This pine looks very nice and decorative. In addition, when transplanting pines and firs should be planted two year old seedlings, because three year olds are pretty bad root. They need to dig in early spring with a big lump of earth, being careful not to expose the roots. Trees grow well in moderately lit areas, preferring shade. In order that their roots do not rot, it is necessary to provide a good drainage system. It will be especially relevant on heavy clay soils. Peat soils need pre-liming, which is carried out every five to seven years. Otherwise, the trees on site will be low, stunted, slightly branched, and in some cases they can crumble the needles. Dig up young firs that want to transplant to their land. To dig better in the woods, where there is a clear saudinet landings. Try first how to outline a square with sides around 30-40 cm around the tree. Then, deepening the pin spade, cut out a clod with a young fir-tree. Fit for transplanting trees up to 0.5 m high, other is better not to touch, a high risk that they will not survive. Make a "mash", mixing equal proportions of peat, rotted cow manure and compost soil. Dilute the mixture with a little water to the consistency resembled a dough for pancakes. Dip the roots in this "talker", then tie them with plastic and put the tree in a bucket, removing to shaded area. Select the location for planting trees. It is better to plant at the fence, because the trees will grow tall and may shade the garden, garden or flower bed. It is advisable to direct sunlight to this area came only in the evening: eat whatever tolerate morning or afternoon sun. Prepare planting holes with a size of about 50 CC On the bottom put a thick layer of plant debris (it's all good, but weeds perennials – sow-Thistle, nettle, goutweed, etc.). Mandatory pour and finish with inteferon or other medication from the harmful insects that can hide in plant debris. The next layer will be compost soil or rotted manure. Last pre-filmed from the landing on fertile soil. Planted spruce in the early morning, preferably below stood a cloudy day. Pitch ukryvnoy a temporary structure, covered with dark polyethylene. These trees do not like a lot of light, and at the time of transplantation are particularly susceptible to it. The circumference of the tree trunks of the circle, make a groove, make it complex fertilizers consisting of nitrogen, superphosphate, and potassium. Liberally pour the saplings at the root. In the following week the trees shown daily watering and shallow cultivation. 10-15 days shading design can be removed. 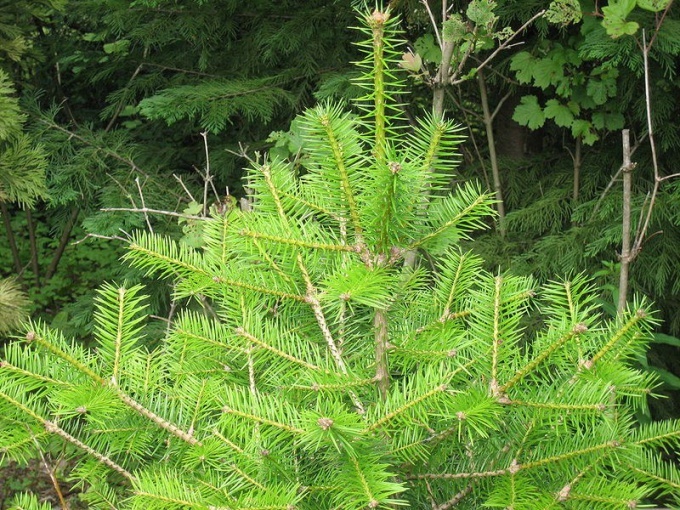 Fir easily tolerate transplanting at a young age, but adult specimens survive bad. The tree can be transplanted in spring or autumn, and landing, preferably on a cloudy day, preferably before rain. Transplant fir recommended in April, before Bud break. In the autumn of this can be done from late August to late September. Fir is shade tolerant, so planting suitable for both shady and Sunny location. However, the tree is typical of the crown only with adequate lighting. For transplanting fir choose moist but not waterlogged, well-drained loam. If the area will stagnate water, it can lead to slow tree growth, as well as to defeat various fungal diseases. Approximately 2 weeks prior to transplantation is necessary to prepare a seat — make a hole, paraglide her and fill the nutrient mixture. First dig a hole the depth of 60-80 cm, its width depends on the size of the root system of the tree. If the soil is heavy and clay, at the bottom you need to make a drainage of broken bricks or broken stone laid in a layer of 10-20 cm. Need to paraglide to the bottom of the pit to a depth of 10-15 cm and fill it halfway with a mixture of leaf soil, humus, river sand, peat and clay soils. Then you should add 10 kg of sawdust and 200-300 g of NPK. The filling of the pit is mixed well and sprinkled a mound, it sprinkled on top of garden soil that contains no fertilizer. Spread its roots horizontally, and silver fir planted in a pit and covered with garden soil. The seedling need to move so that its root collar was on the ground level. The distance between the fir trees in the avenues should be approximately 4-5 m, in groups — 3-3,5 m, hedges trees placed in a checkerboard pattern. 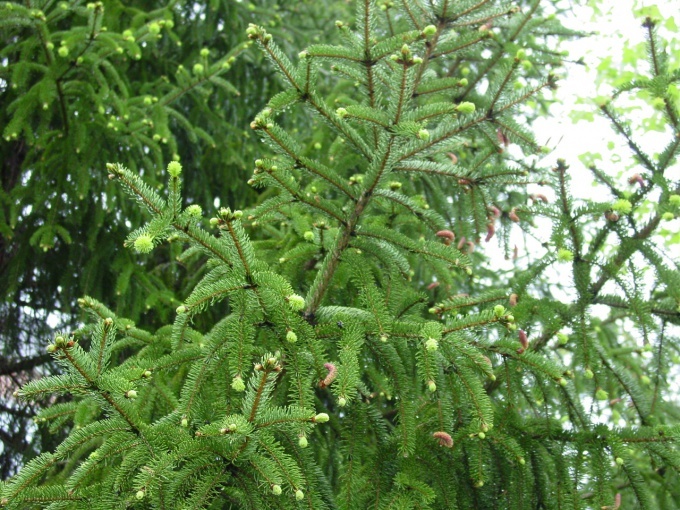 After the transplant, the fir requires abundant watering, and in the spring spraying. Young fir trees need regular loosening the soil to a depth of 10-15 cm, and weeding. Followed by mulching tree trunks with a layer thickness of 5-8 cm of wood chips, sawdust and peat. Young plants need shelter for the winter, and protected from late spring frosts. For this soil in the tree trunks circle filled with peat and dry leaves, the layer thickness should be 10-12 cm Crown fir covered with spruce branches. 2-3 years after transplanting are recommended to pay regularly in tree trunks 100-125 g/sq. m Kemira-universal. Watering need only moisture-loving species of fir in dry weather pour 15-20 liters of water for each plant. But we should not get involved in irrigation, because the fir is contraindicated waterlogging.